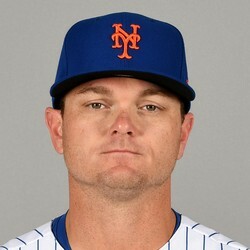 Mets reliever Justin Wilson earned the save in a win over the Marlins on Tuesday, allowing one hit and striking out one over 1 2/3 innings. Wilson now has a win, a loss, and a save in his first three appearances of the season. Don't look for many saves out of Wilson this season, as most of those will come from Edwin Diaz or Jeurys Familia. But for leagues that reward points for both holds and saves, Wilson has some value.